After a long and complex restoration, lasted 21 years, the Chapel of the Holy Shroud, a masterpiece of Baroque in Europe, reopens to the public. Recovering its original function of Palatine Chapel, the masterpiece will become an integral part of the already rich and extraordinary tour of the Torino Royal Museums, a fascinating journey through the history of the Savoy story with the royal apartments, the Royal Library, the Royal Armoury, the Savoy Gallery and the Archaeological Museum. A literally exceptional event of international level, which Torino celebrates with 3 days of events, starting with the spectacular lighting of the dome, which the public can admire from the evening of Thursday 27 to Saturday 29 September. On Friday, 28 September, a High Mass in the city cathedral, which will host a dedicated concert on Saturday, 29 September. An international conference on the history of the monument, its symbolic and devotional meanings and the impressive restoration will take place at the Auditorium Vivaldi of the National Library of Torino on Friday 28 and Saturday 29/09. From September 28 to 30, 2018 this architectural marvel can be visited at the special price of three euros, while from October 2 access will be included in the Royal Museums ticket. The impressive work, unparalleled in the European architecture thanks to its design and the spectacular effect of the structure, was commissioned to Carlo di Castellamonte by the Duke Charles Emmanuel II of Savoy to guard the precious relic of the Holy Shroud, which belonged at the time to the Savoy family. 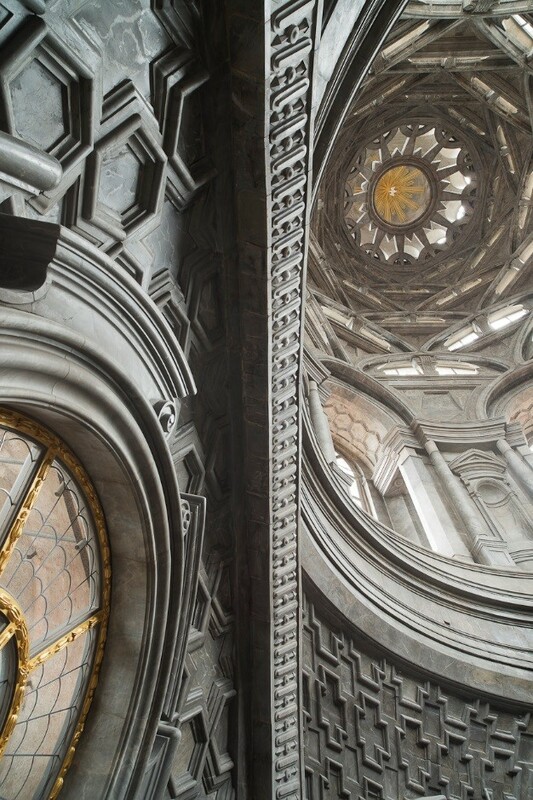 Designed and completed by the architect Guarino Guarini in 1690, the dome is his most dramatic work. The structure is connected to the Royal Palace. Its complexity is mirrored in the three levels, an explicit reference to the universe moving towards sunlight and seen as the "Christus Triumphans" that guides man to Salvation.